When you step out of the airport, step into our six passenger stretch limousine. Stylish and sophisticated, the sleek limo is an excellent choice for small party airport pickup and drop-off. Whether you're in town for a party, wedding, corporate event, or some other reason, be sure to have the right transportation for yourself or your group. Our luxury limo services in and around Las Vegas are convenient and cost-effective, especially for groups of up to six passengers, each paying a percentage of the cost. 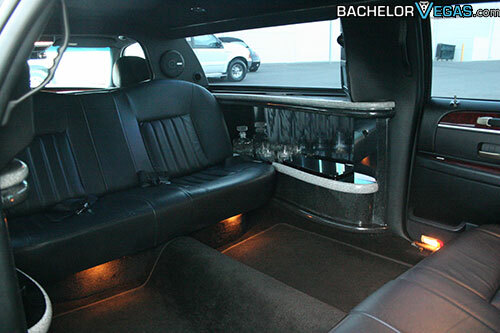 Our six passenger stretch limousine offers a touch of luxury. Soft lighting provides the perfect ambiance, while the sound and entertainment system gives guests the opportunity to sit back and relax during the ride. From the sleek leather seats to the stylish black exterior, the stretch limo is the ultimate way to get around Las Vegas in style. 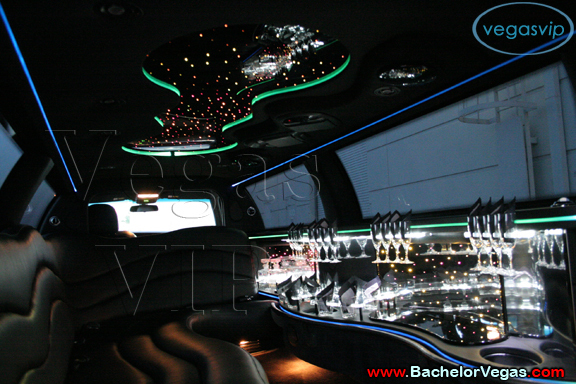 Inside our Bachelor Vegas VIP's six passenger stretch limo, you'll find the vehicle fully equipped with CD player, TV/DVD entertainment unit, privacy dividers, and a bar. The limo is laid-out to suit small parties, giving you the accommodations you desire as you sit back and take in the sights. 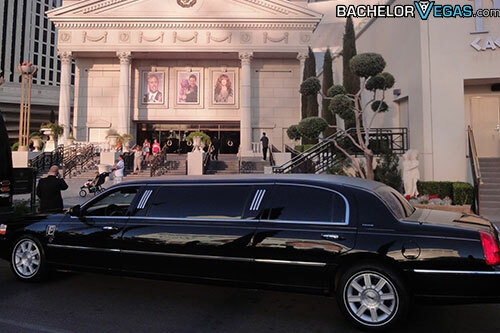 The six passenger limousine provides a fun and intimate atmosphere for groups spending time in Las Vegas for a bachelor or bachelorette party, birthday party, girl's night out, or any other event of your chosen. The bench-style seating that face one another makes face-to-face conversation a breeze, while the partitions between the passengers and driver provide sufficient privacy during transportation. As the vehicle comes complete with chauffeur, you can rest easy knowing that you don't have to deal with heavy traffic, parking fees, and other inconveniences during your stay. To make your trip to Las Vegas even more accommodating, we also offer stretch sedan packages to save you time and money. 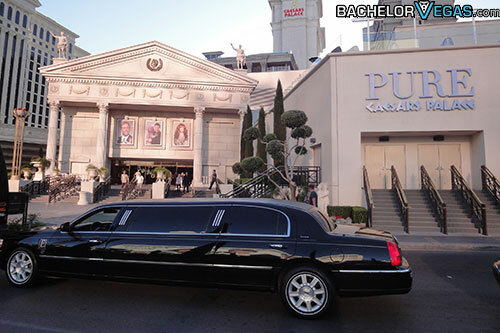 Rates for our six-passenger stretch limousine include hourly, daily, and airport pick-up only options. Our VIP packages include options such as airport meet and greet, airport limo pick-up, limo transfers to your hotel, limo transfers to clubs and strip clubs, and no lines and no covers at certain Las Vegas clubs. Whether you need use of our six-passenger limo for just an hour, or all day, we will try our best to accommodate your needs. No matter if you're traveling for business or pleasure, our luxury vehicles, coupled with our experienced chauffeurs, will surely make your trip to Las Vegas a hit. Limousines are the ideal vehicle choice for comfortable and luxurious personal or business-related airport services. See Las Vegas for the first – or fifth – time in the back of a stylish limo, allowing you to easily take in the amazing sights around you. Avoid the hectic experience of arriving to Las Vegas and trying to find your way to your hotel, as we have services that make your airport transport a breeze. 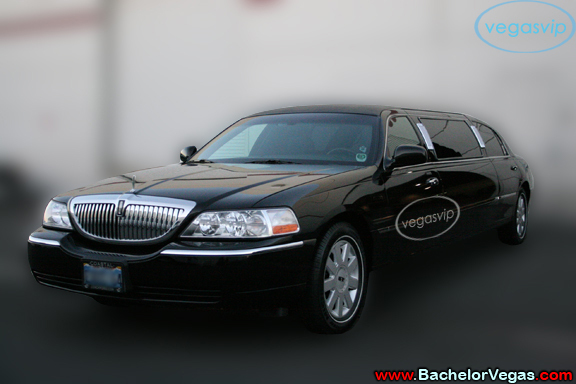 Prepare yourself for a smooth ride in the passenger compartment of our Bachelor Vegas VIP six-passenger limo. With the plush leather seats, privacy partition, tinted windows, wet bar, and accent lighting, you'll have everything you need in reach to experience a stress-free ride to and from your destination. Our spacious limousine is the best way to show up to your hotel, a local nightclub, restaurant, or any other Las Vegas establishment. 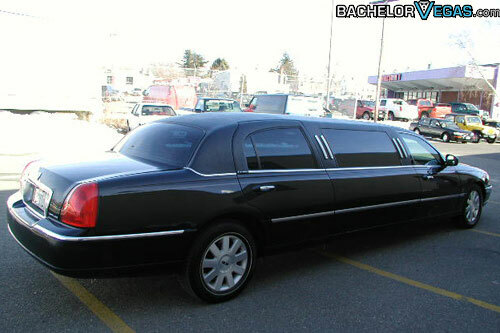 You'll also look your best as you arrive to your location in a stunning stretch limo. Planning a trip to Las Vegas? Make your out-of-town travels safe, convenient, and cost-effective by obtaining our six-passenger limo for your group. Driver gratuity is included in the rate.